Pictured, Onelio Hipolit-Gonzalez. Police bookings via Hernando County Sheriff's Office. Pictured, Onelio Hipolit-Gonzalez. Police bookings via Hernando County Sheriff’s Office. 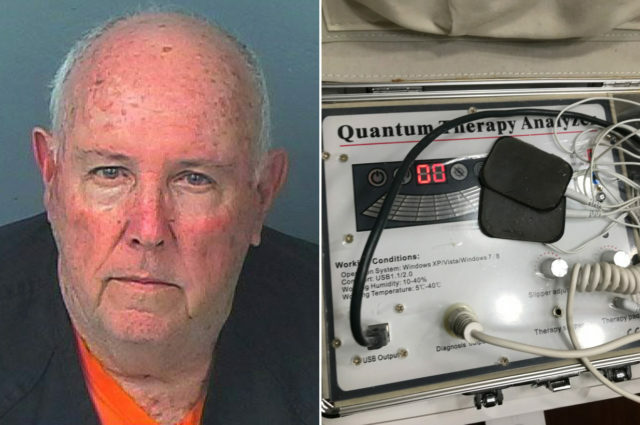 Onelio Hipolit-Gonzalez: Florida man pretending to be a doctor promises would be hopeful patients magic cure to range of diseases- including diabetes. A Brooksville, Florida man posing as a doctor claimed he could cure diabetes on the dubious proviso of transferring the patient’s own blood back into them. Onelio Hipolit-Gonzalez, 73, was arrested Tuesday in connection to the medical scam which advertised his services on a since removed site called ‘Elclassificado,’ according to the Hernando County Sheriff’s Office. Posing in a white lab coat on the fake site, Hipolit-Gonzalez claimed to a would be Spanish speaking clientele being able to treat a range of illnesses from leukemia to multiple sclerosis. Except the Florida Department of Health alleges the scammer never had a medical license in the state to begin with. But how to bust the fake ‘wonder’ doctor who was soliciting visitation fees for desperate would be patients? PHONY DOC BUSTED: A spokesperson for the Hernando Co Sheriff’s Office tells me this is a photo Onelio Hipolit-Gonzalez would use to advertise his “medical services” online. Claimed he could cure diabetes by injecting “patients” with his own blood. An undercover officer arranged an appointment last week with Hipolit-Gonzalez — who requested $160 for the visit and who’d asked to meet at a residential home. Hipolit-Gonzalez told the deputy that the machine, which was making noises, found he had “50 percent fat in his liver,”‘ his gallbladder was not in good health’ and he had other issues such as diabetes and high cholesterol, police say, according to WTSP. When the test was complete, the ‘wonder’ doctor diagnosed the patient with diabetes and osteoporosis, according to authorities. Hipolit-Gonzalez then claimed having previously cured diabetes for another patient and could treat the undercover cop for the mere fee of $2,000. The Hernando County Sheriff’s Office then intervened and brought Hipolit-Gonzalez in for questioning. When asked about the procedure, Hipolit-Gonzalez said ‘he draws the patient’s blood, and then injects the same blood he just withdrew,’ according to police. ‘He said when the blood enters the body it ‘combats’ the blood cells and increases the immune system,’ officials said. In regards to his medical background, Hipolit-Gonzalez claimed he was a lab technician in Cuba before getting a certificate in Florida for iridology, herbology and nutrition. Denise Moloney, a spokesperson for the Hernando County Sheriff’s Office, told WFLA this was a ‘very unusual’ case. 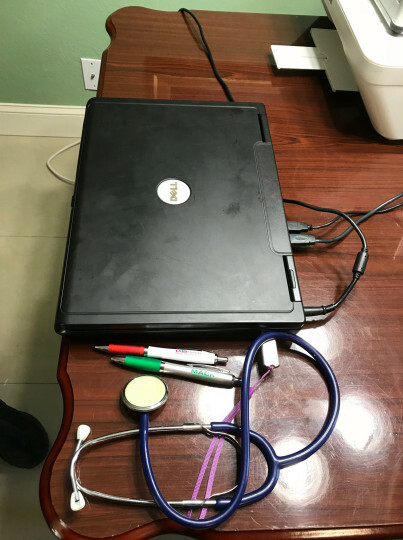 Hipolit-Gonzalez was booked on charges of unlicensed practice of a health care profession and unlawful use of a two-way communication device. Not immediately known was the number of unwitting individuals the fake Florida doctor may have preyed on. Hipolit-Gonzalez is being held on $10,000 bond.